In this article, you will get the information on the installation of CMS Made Simple v2.2 on LAMP in CentOS 7.3. You must have Alibaba Cloud Elastic Compute Service (ECS). If you are new user, Click Here to try the Alibaba Cloud Free Trial. I have used Alibaba Cloud ECS and CentOS 7 for this tutorial. If you don’t know about how to setup your ECS instance, you can refer to this tutorial. Access to VNC console in your Alibaba Cloud or SSH client installed in your PC. 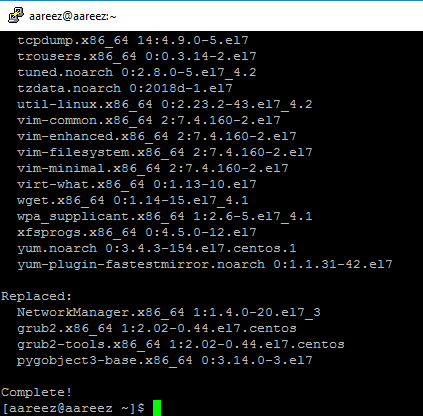 Before proceeding towards installation of any kind of package, execute the command below to update your CentOS system. Note: To execute this command, remember to login from non-root user with sudo privileges. Now, you will be prompted to type your password to confirm. Type your password and hit Enter key and wait until your screen shows status “Complete!” as shown below. You CentOS system has been updated successfully. Now, next step is to install Apache Web Server. Before installation of Apache Web Server, you will need to install nano editor and epel-release. For details, you can go to How to Install CMS Made Simple v2.2 on LAMP in CentOS 7.3. Pagekit is a modern open source and free content management system (CMS). It provides a central place "Site Tree" to manage all of your content. You can make your menus, edit or update your pages, and add or remove widgets. There are some products in our marketplace which have already customized for LAMP CentOS 7. Websoft9 Joomla is a pre-configured, ready to run image for running Joomla on Alibaba Cloud.Joomla! is an award-winning content management system (CMS), which enables you to build websites and powerful online applications. Websoft9 Magento is a pre-configured, ready to run image for running Magento on Alibaba Cloud.Magento is the World’s #1 Commerce Platform,it is the most popular commerce platform in the world, with more than 250,000 merchants around the globe selling more and driving innovation. Websoft9 WordPress is a pre-configured, ready to run image for running WordPress on Alibaba Cloud.WordPress is the best open-source content management system,there 28% of the web uses WordPress, from hobby blogs to the biggest news sites online in the world. In this short course, you’ll understand how to deploy Alibaba Cloud ECS & SLB to achieve multi-zone high availability architecture. 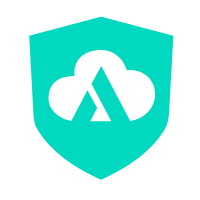 Through this course, you will learn the core services of Alibaba Cloud Fundamental Architecture (ECS, SLB, OSS and RDS). By studying some classic use cases, you can understand how to build a basic architecture in Alibaba Cloud.